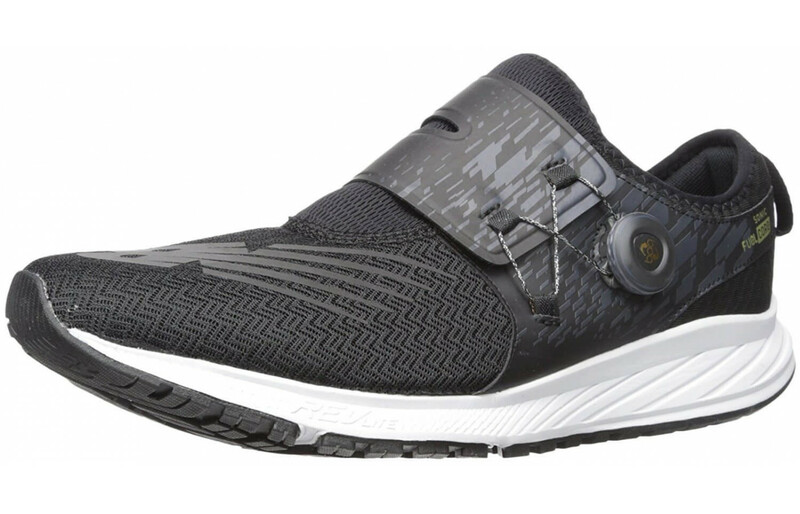 New Balance FuelCore Sonic - To Buy or Not in Apr 2019? New Balance has been experiencing a brand crisis over the past decade or so. For the longest time, this footwear manufacturer was known for their lines of comfortable walking and running shoes that provide many layers of padding and extra size options for individuals with wide feet. Although this design philosophy has generated a niche appeal, New Balance has waned in popularity because their designs were usually very heavy and had a tacky sense of style. As athleisure became more popular and companies like Adidas and Nike conquered the footwear market, New Balance has been desperately trying to rebrand themselves as a modern and fashionable footwear manufacturer. The New Balance FuelCore Sonic is one of their current offerings that exemplify this stylistic shift, with many interesting features that indicate a bold new direction for this legacy brand. We have spent 5 hours analyzing a total of 300 reviews. These work great with or without socks. They are a good choice for triathlon shoes but there are better out there. I wore these in Disney and I didn't have any foot pain. These have great room in the toe and also are snug in the heel the BOA system is surprisingly simple ad allows for a good tightening and loosening of the shoe. These tilted in a bt at first and then after a bit straightened out and became a real neutral shoe. These are a simple and comfortable shoe with a great lacing system. These are top notch running shoes. I bought them for the lacing system. They were easy for me to put on after shoulder surgery. They fit perfect and never gave me any issues. I love the dial BOA system. I am missing a leg and an ar one on each side and these have really saved me the hassle of laces. I am able to tighten the shoe. They are comfortable and they fit over my prosthetic well. The knobs aren't as bulky as they may seem. These shoes are super low. You could see my now show socks. They are magical shoe though. Full of comfort and the design is one of a kind. The BOA system is really great. The shoe breaths and adjust great. They actually fit like the lace-up shoes. The mesh comes up high in the front, it is a bit strange. I wouldn’t run a lot in these. These are really comfortable and my feet feel real secure for a non laced shoe The BOA system is great. The logo is a bit underwhelming. They are really light as well. The arch support is real nice and when I tighten the shoe, it gets better. These have been rel good on the treadmill and at the gym. They are very nice and comfortable. They are light and absorb well. They hug my feet like a glove. These shoes are dope. So easy to get on and off and the stability is stellar. I love the comfort. I recommend this shoe to anyone. I am on my feet all day. These shoes are so comfortable and have worked on my back pain. They are super light and just fantastic. They look great. These are light and the BOA is surprisingly genius and works great. They keep my foot stable and snug but don't crush the toes. They are so easy to get on and off and never loosen up. They look better than I was expecting. Slip ons can be doofy. The tightening system is really well made and works. They are comfortable as well. These are really supportive and the color is great, not loud. They have a lot of comfortable cushioning in there too. I have to say the dial in lacing is some of the most genius systems for a secure slip on. I wish all shoes were made like this. They never loosened up or cause foot pain or need adjusting. They are light and comfortable all over. The arches really support. They could be more durable. These were the most true to fit shoes I have ever tried on. The mesh is snug and breathes well. They are really comfortable ad I will be buying again. Super light as well. These have proven to work great on big, wide feet. They have lots of cushion even though it is light. I put a lot of miles on these and they are doing really well under the pressure. These shoes are so adjustable. The technology is fantastic. I have super narrow feet and their sizes are spot on and so comfortable. I am in love with these shoes. Easy on, easy off style. This is a lot of shoe for me, I barely exercise or do much of anything. But, I think they are well made and super comfortable. These have some serious gait and minimalist style with a better amount of cushioning than most models like this. The BOA is bad A$$. They are comfortable and helped with my time. I have a big ol’ wide foot and I never an find a shoe. These are a winner. They fit and stretch nice. They are so comfortable and light and really hold me in and I am able to wiggle my toes. I am forgetting they are on when I wear them. The light feel and the epic cushion are a dream. They stay snug. These have destroyed my ankle bone and heels. The front has a lock in padding while the heel is overloaded so it feels weird. These just aren't good for distance. These are bit off with the design. I cannot cross my legs without the button digging into my leg. They are a bit difficult to tighten due to placement as well. They are light and they fabric is nice, just not what I wanted. These are too small. They support and have cushion but I can't break them in. I also wish they last longer. 3 months and they are done. The material is a cheap nylon feeling that feels cheap and it isn't that comfortable at all. These were stiff and hard when I ran. THey locked in good but the shoe just felt weird to me and it never went away. Of the 300 reviews we found in total, 9% were negative, and 91% were positive. In a move that is standard for most mid-range running shoes, New Balance coated its underside in a very hard and abrasion-resistant rubber compound. Thanks to its firmness, runners can strike the ground with their full power and not suffer consequences to their feet, legs, or joints due to the material’s shock absorbing properties. This material is also divided into several small plates with elevated lugs, separated by long horizontal grooves. This comes with two benefits: the first is improved traction since the lugs grip to the ground like teeth, and the second is flexibility from the large grooves. 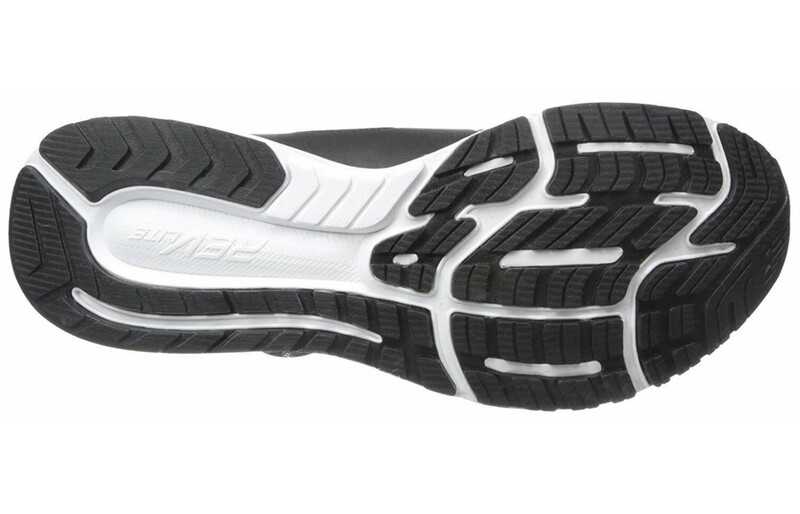 The one downside to this shoe’s outsole design is that it doesn’t provide the same level of traction or control when running on wet or slippery surfaces. Something that you are going to find in just about every running shoe that has a midsole is EVA foam. This has become ubiquitous in regards to footwear design, but the type of EVA foam implemented in each model can vary wildly. In the case of New Balance, many of their shoes have started using REVlite EVA foam for their midsole design. This material is perfect for New Balance since it allows them to still provide the ample cushion which customers love from their products while also enabling them to greatly reduce the weight of each shoe. The FuelCore Sonic also features a slight increase in elevation from the heel to the toes in its midsole, which means that runners who like to strike the ground with their heels can experience more comfort while still allowing their forefoot to maintain a solid grip on the ground beneath their feet. The upper portion of any running shoe is going to provide the first impression for every customer, and will often be the sole deciding factor in a purchasing decision. This may not be fair for some footwear manufacturers, but it’s an unfortunate fact of life. This principle explains why New Balance designed the FuelCore Sonic with such a radically different upper to most of their other products. In particular, the laces are unlike most running shoes or sneakers on the market since they implement a Boa system, placing the laces on the side with a small wheel for fine-tuning the fit. Coupled with the tight bootie design, this results in a highly stable and comfortable fit that feels almost as if the runner simply had a second layer of skin over their foot. Aside from the lacing system, these shoes are coated with an ultra-breathable air mesh that weighs little and provides excellent ventilation, albeit at the cost of durability and foot protection. Another reason that New Balance wasn’t as popular among the general population is that their shoes tended to be heavier than the average running shoe. This was a natural consequence to their practice of adding a great deal of cushioning to their products and most of their dedicated customers accepted this tradeoff. However, the New Balance FuelCore Sonic weighs considerably less and is now on the low end of the running shoe weight spectrum, with the average men’s size weighing around 8 ½ ounces and the average women’s weighing around 7 ½ ounces. This was possible through the manufacturer’s use of REVlite midsole cushioning and air mesh upper material, which still manage to provide a degree of comfort without nearly as much of the weight. There are two major design elements that ensure a high level of breathability for the New Balance FuelCore Sonic. The first is the use of air mesh for the majority of its upper half: a synthetic mesh textile that has many small holes for the purpose of facilitating airflow into and out of the interior of the shoe. 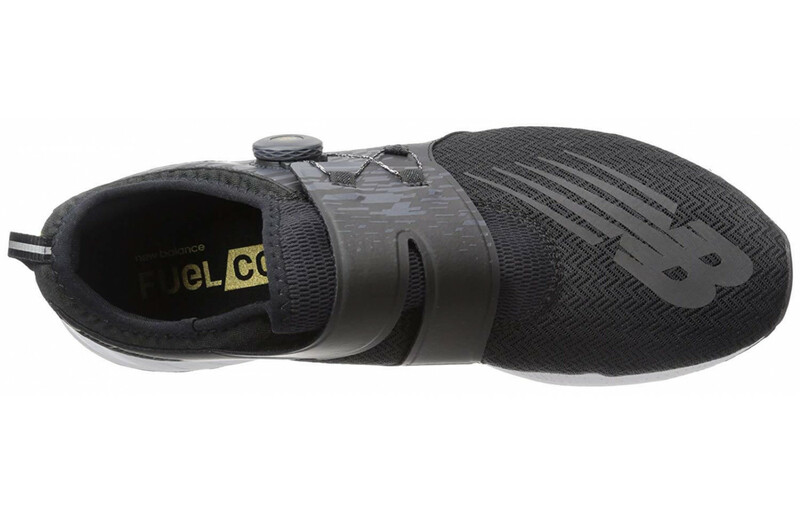 The second feature that benefits the FuelCore Sonic’s ventilation is its lightweight construction, with the REVlite midsole contributing greatly in this regard. Since the entire shoe is significantly lighter, less energy is expended by the runner when taking each step, which means that less heat and sweat are generated that needs to be ventilated in the first place. As a result, these New Balance running shoes are an excellent choice for runners looking for footwear to use in warmer climates. For a long time, the single most appealing aspect of New Balance’s shoes was their comfort. This company enjoyed status as a niche designer due to their ability to provide customers with a level of padding and cushion perfect for sensitive feet. Additionally, their alternate width sizing meant that individuals with feet that didn’t adopt the traditional foot shape would feel comfortable in their shoes as well. With the FuelCore Sonic, some comfort is still provided thanks to the combination of an air mesh upper and a REVlite midsole. However, the alternate width sizing is gone and the entire experience pales in comparison to the pillow-like feeling of padding that New Balance once provided. Unfortunately, this means that fans of older New Balance shoes will likely want to pass on this product. Something that New Balance has never been known for is their sense of style. While they may have attracted a dedicated following of customers due to their comfort and width accommodations, they’ve also been known as some of the worst-looking footwear on the market. 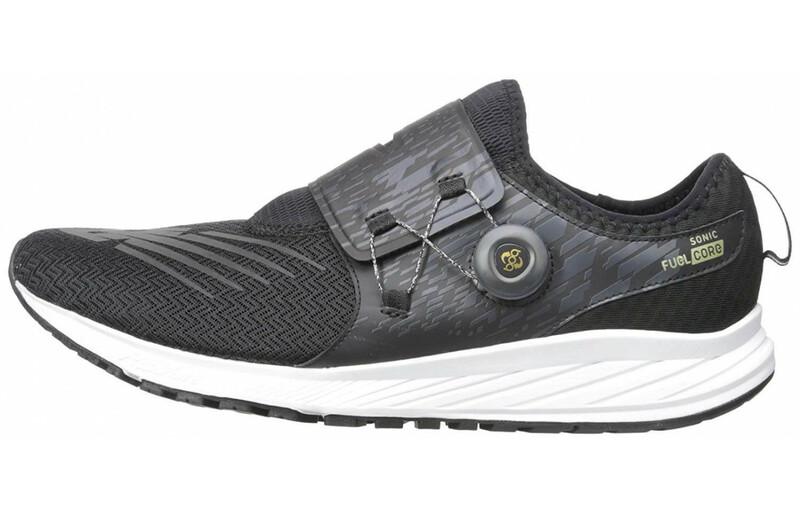 This is the one aspect that the brand has attempted to revitalize above all others and the FuelCore Sonic is much closer in design to a modern athleisure aesthetic than their legacy products. While most of their modern offerings provide similar stylistic elements to popular brands such as Nike and Adidas, this brand brings something new to the table with its Boa lacing system. This is something that isn’t commonly found on casual running shoes which endows the FuelCore Sonic with a style that is entirely original. Although they may not have looked very pretty, New Balance shoes were able to take quite a bit of punishment in the past. With the New Balance FuelCore Sonic, some durability can still be guaranteed thanks to their use of hard rubber for the outsole; however, many of the design elements that used to guarantee this brand’s longevity are absent in this model. The upper portion is no longer made up of several layers of comfortable padding, with a highly perforated and considerably more delicate air mesh material taking its place. The midsole is also a bit more fragile due to the fact that it is made of REVlite lightweight padding as opposed to a more resilient form of EVA foam. While it’s more or less on par with the average casual running shoe, customers should keep in mind that these shoes will likely need replacing after only one or two seasons of hard running. While they weren’t very pretty, New Balance shoes in the past had a tank-like quality to their construction that made it very difficult for any kind of repetitive stress or impact to cause damage to the wearer’s feet or legs. With the FuelCore Sonic, however, much of this protectiveness is gone in lieu of a more lightweight and aesthetically pleasing design. It’s a tradeoff that isn’t entirely unwelcome since casual running sessions aren’t usually fraught with the kind of environmental hazards that would necessitate that level of protection. If New Balance had made trail running shoes, the absence of defensive capabilities would be much more noticeable. However, it’s still worth keeping in mind that these shoes won’t provide as much protection for the wearer’s feet as would older models. There are a few design elements for a typical running shoe that factor into its responsiveness and the New Balance FuelCore Sonic excel at providing them to an impressive degree. For starters, the REVlite midsole cushioning ensures that all energy from a runner’s foot strikes is absorbed and then explosively discharged in a spring-like fashion. Additionally, the way in which this shoe’s upper portion is constructed ensures that they react instantaneously to the wearer’s movements due to its bootie-style construction. Finally, the lightweight design of the entire product ensures that less energy is needed to drive each step and less resistance is encountered with smaller movements, resulting in one of New Balance’s most responsive pairs of running shoes to date. The most support the New Balance FuelCore Sonic can provide for the wearer’s feet is underneath them. Thanks to the REVlite midsole and hard rubber outsole, wearers will be heavily insulated from repetitive stress injuries such as shin splints. However, one aspect of underfoot support that is conspicuously absent from these shoes involves the arches. New Balance used to be a favorite for individuals with flat feet since they were able to meet their support needs. However, these New Balance running shoes don’t offer the same benefits and will necessitate the use of an orthotic insert to accommodate these concerns. Fortunately, the manner in which the upper’s Boa system secures the wearer’s midfoot is helpful for those with pronation issues, although it isn’t as helpful as a dedicated gait correction shoe. 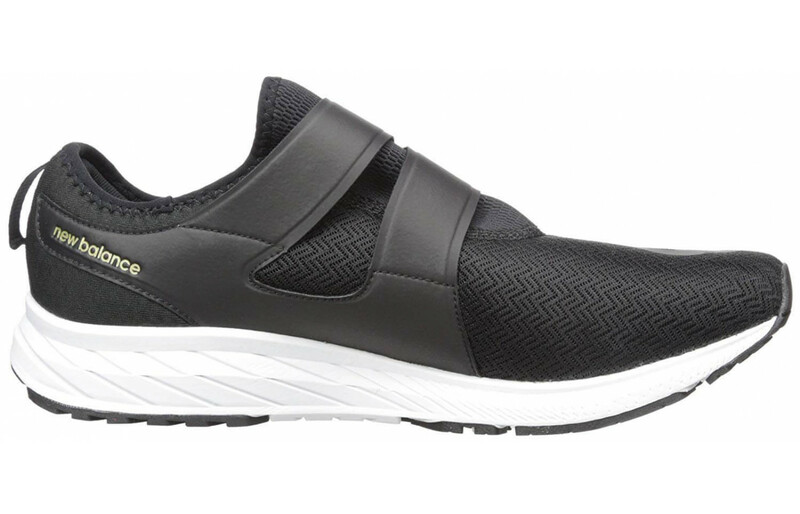 These are casual running shoes intended to be used on casual running surfaces. For the most part, this means that wearers of the New Balance FuelCore Sonic should stick to man-made running terrains such as a sidewalk, track, or road. These shoes are sturdy enough to handle some low-intensity natural surfaces such as a grassy field or soft dirt, but they don’t have enough traction or stability to accommodate more severe forms of terrain such as a hiking trail or inclined mountain path. Additionally, the manner in which this shoe’s outsole is designed means that they won’t provide adequate traction in wet environments, so extra caution will need to be exercised if the wearer plans on running in the rain. The average running shoe tends to cost somewhere below $100, and these New Balance shoes are no exception to this rule. While previous models from this manufacturer with heavier insulation and alternative width sizing may have cost more than average, the modernized FuelCore Sonic costs significantly less. In fact, these shoes have dropped in price from their initial retail cost due to the time they’ve spent on the market. Now, it’s possible to find some sizes and colorways for less than $50 with a bit of sleuthing. On the other hand, increased scarcity due to age has led to some particular sizes and color options costing many times more than the average, so discretion is important when selecting a model for purchase. As was previously mentioned, the New Balance FuelCore Sonic offers a decent level of traction for runners thanks to its hard rubber outsole. This material is abrasion-resistant and has several large lugs that form a tread pattern intended to ensure a consistent level of grip on a variety of casual running surfaces. However, it is worth noting that this rubber material doesn’t have any sort of coating or special technology that ensures adequate grip on wet surfaces. For that reason, it isn’t recommended that runners wear the FuelCore Sonic for running sessions on rainy days or immediately after a rainstorm. If they do find themselves in this sort of situation, however, it definitely isn’t recommended that they run at their full speed in these sorts of environments as slippage is likely to occur. When compared to products made by New Balance in the past, the FuelCore Sonic has an impressive degree of flexibility. Starting from the bottom, the large horizontal grooves allow the hard rubber outsole to bend comfortably without degrading the material and compromising its stability or durability. In regards to the midsole, the REVlite material is lighter and can provide more flexibility than a more dense and sturdy EVA foam. Finally, the upper is made almost entirely out of air mesh, which is able to bend like a reed in the wind thanks to its ample perforation implemented for the sake of breathability. The end result is an experience that is fairly different from the traditional New Balance shoe, which may require some getting used to. While the New Balance FuelCore Sonic offers a great deal of flexibility, there is just enough stability present in its design to prevent the wearer from losing control during the average running session. This can mostly be found on the very top and very bottom of the shoes, although the REVlite midsole does what it can in this regard in spite of its comparatively diminished density. The outsole’s hard rubber construction ensures that the parts of it that aren’t bending from the wearer’s natural foot movements are at a controlled angle without much movement, and the upper portion’s bootie-style construction enables the wearer to run in tandem with their footwear. It isn’t quite as stable as a solid trail running shoe but it is certainly stable enough for the average runner. The aforementioned REVlite midsole that makes up the middle of each New Balance FuelCore Sonic running shoe has a difference in elevation between the heel and forefoot of around 6 millimeters. This means that the wearer’s heels are slightly elevated when wearing these shoes, with the extra height being taken up by extra foam padding. The benefit to this design style is extra shock absorbing capabilities provided for heel strikers since the extra material serves as a defensive shield. This design element also guarantees greater responsiveness for heel strikers, resulting in a shoe that is very friendly for the vast majority of runners who prefer to strike the ground in this manner. New Balance continues to redefine their products and brand image to varying degrees of success. When it comes to the FuelCore Sonic, however, they seem to have found an effective formula. Although it bears very little resemblance to the products that initially put them on the map, these shoes are an original idea that doesn’t simply ape concepts from popular products from other footwear manufacturers. While it may not be as popular as the latest from Adidas or Nike, these shoes are certainly capable of finding a niche audience of their own.